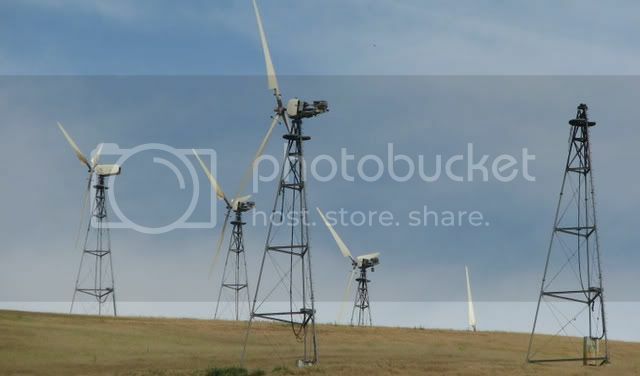 NEAR TRACY, CA--As we whiz by northern California, inching our way up to Seattle, we've noticed solar panels and wind mills covering the mountainside of the west coast. It's refreshing to see all these alternative energy sources especially because I don't think that a road trip through my native Texas would look like this. These wind mills provide energy for Los Angeles. But they have also been controversial. Animal rights activists have argued that birds are getting caught up in the blades, diminishing the population of some rare species.